This has a very unusual base plate and a perfect enamel alpha numeric dial face. 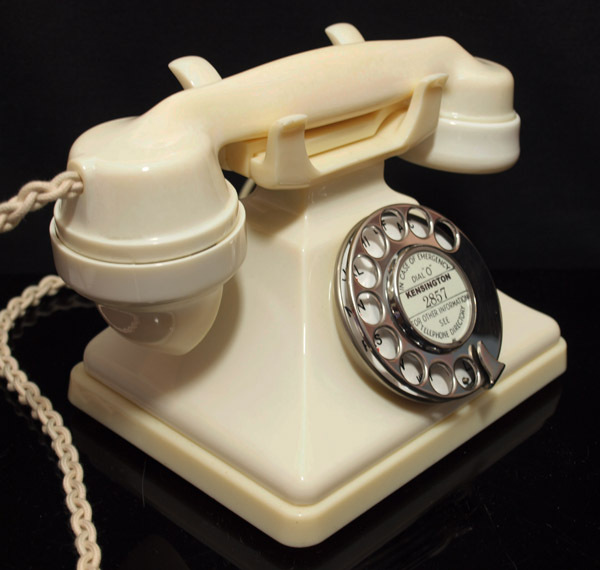 This is a gorgeous little telephone dated 1938 and made from the early Acrylic material. 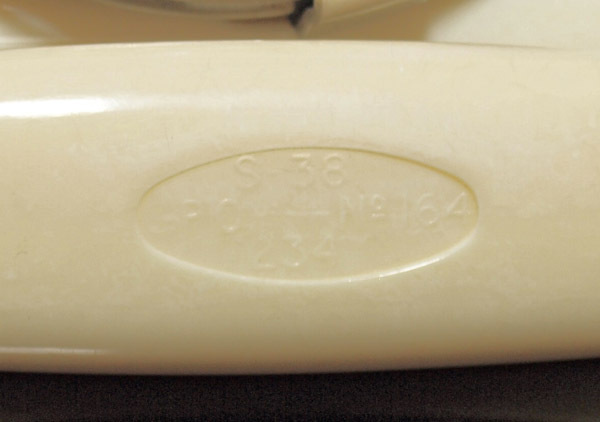 All the parts are marked Siemens and the handset is dated 1938. It has been totally stripped down and rebuilt after each part has been cleaned and polished and in this case many hours of hard labour to remove the staining in the plastic parts. The colour has changed over its 73 years to a beautiful pure white with some marbling effect which gives it a wonderful aged patina. the base is a more yellow ivory and the tee bar is a replacement. It has no damage but as I said has been restored to a wonderful condition. 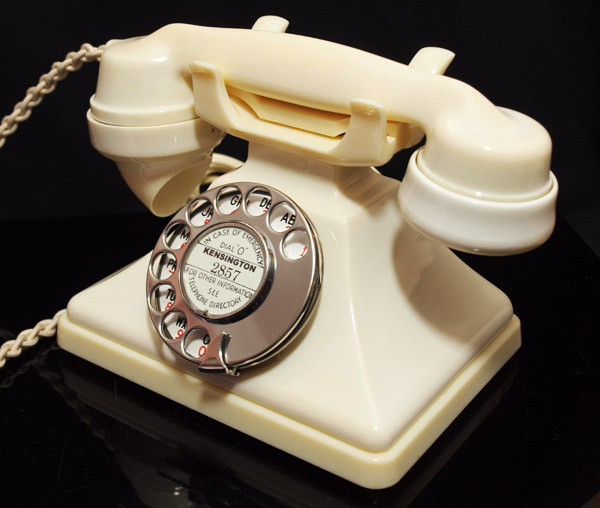 Note the Acrylic base made in the pattern of the Bakelite base on the earlier 162 model. This is very unusual and I don't remember having seen one before. 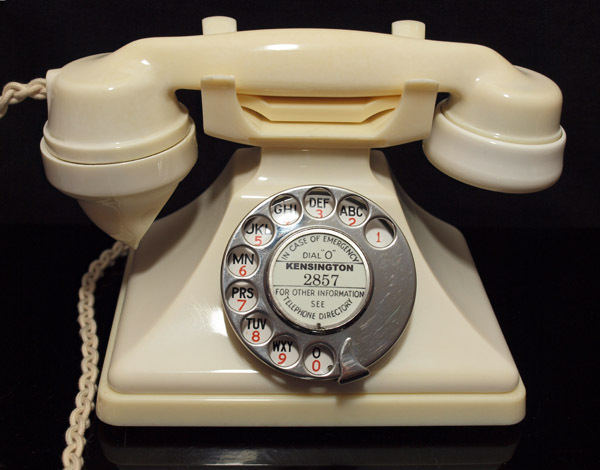 This telephone is fully working to dial out and receive perfectly and is fitted with an electronic microphone, a very best quality British manufactured hand plaited handset cord and a GPO specification round plastic line in with a UK telephone socket. I would recommend buying a black GEC 64D bell set with a double socket to get the proper double bell gong sound. 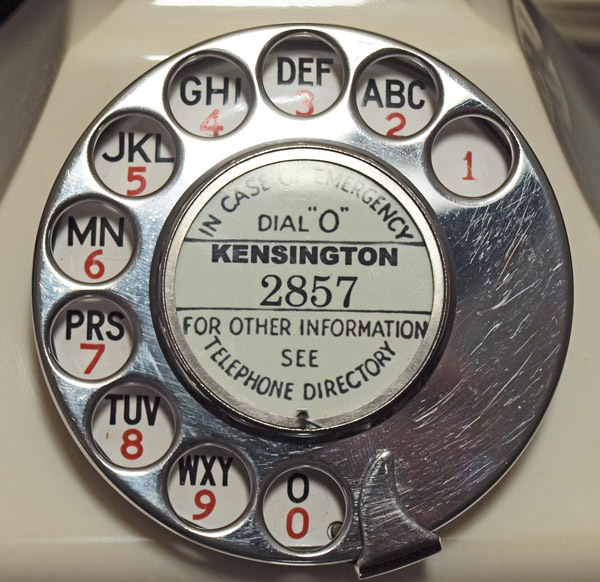 I can make a dial label with your information at no extra cost. Please state in your massage to me in checkout if you want this early dial label or the later GPO red lettered fire police ambulance.